You.gr is the flagship eCommerce portal of Quest Online. 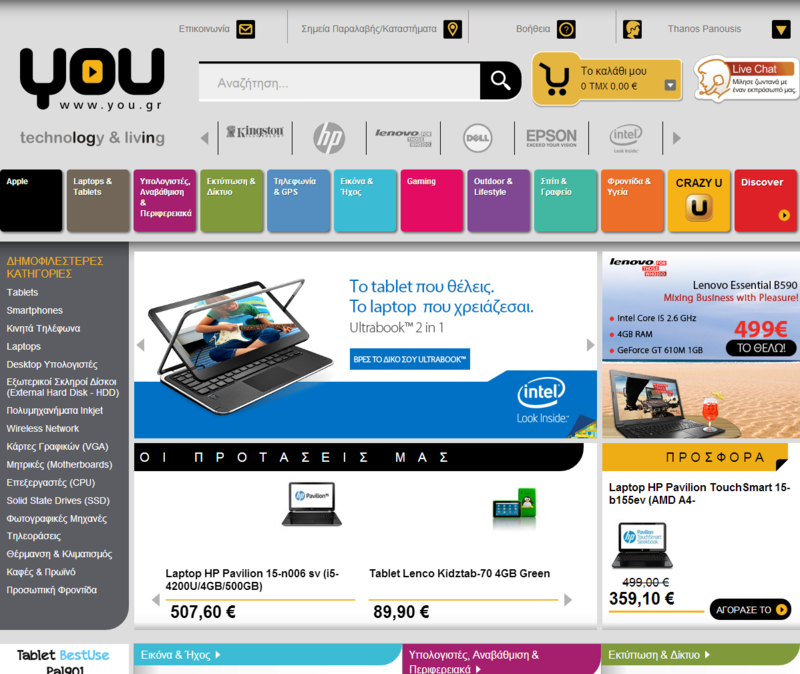 Indice was responsible for the complete infrastructure re-platforming for you.gr, delivering the first Windows Azure hosted eCommerce portal in greece. You.gr is the flagship eCommerce portal of Quest Online, a member of Quest Holdings. In order to stay competitive after several years in the greek market, Quest Online decided to go ahead with a complete re-platforming project instead of incrementally enhancing its existing infrastructure. delivery of the complete solution through the Windows Azure cloud service. You.gr is the first greek eCommerce portal to be hosted on Windows Azure Platform as a Service, helping bring down infrastructure costs while providing for an infinitely scalable service. We at Indice are happy to have worked with the excellent Quest team, and proud to unveil a completely new eCommerce platform to the public with virtually zero impact on sales. A few months after launch, customer acceptance has been great and Quest Online is already making use of the new platform to boost sales, acquire customers and become more competitive in the rapidly shifting e-commerce market.